Prout is co-organizing a symposium on PhD mental health that will take place on January 25th 2018, at Utrecht University. The event is title “Keeping sane in your PhD – What can you do? 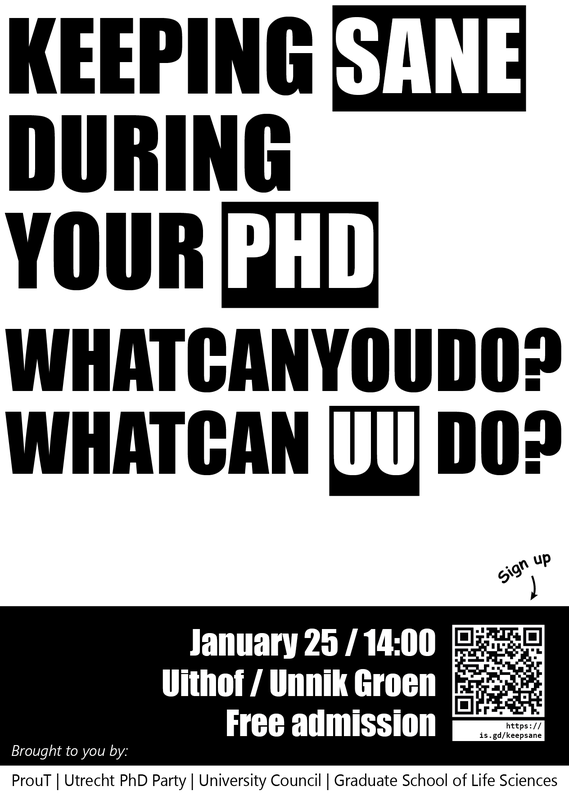 What can UU do?”, and it is co-organized with the Utrecht PhD Party and with the University Council. Check the programme and register here.